« Auri, Art, and Something New…. Today’s blog comes from Heifer International by way of Vicki Clarke. Vicki has been our contact person at Heifer since the very beginning. We hung out with Vicki at the Heifer Ranch. She drove up to volunteer when we had all of packaging to do for our IndieGoGo. At this point, she’s as much part of the Worldbuilders team as she is a part of Heifer. 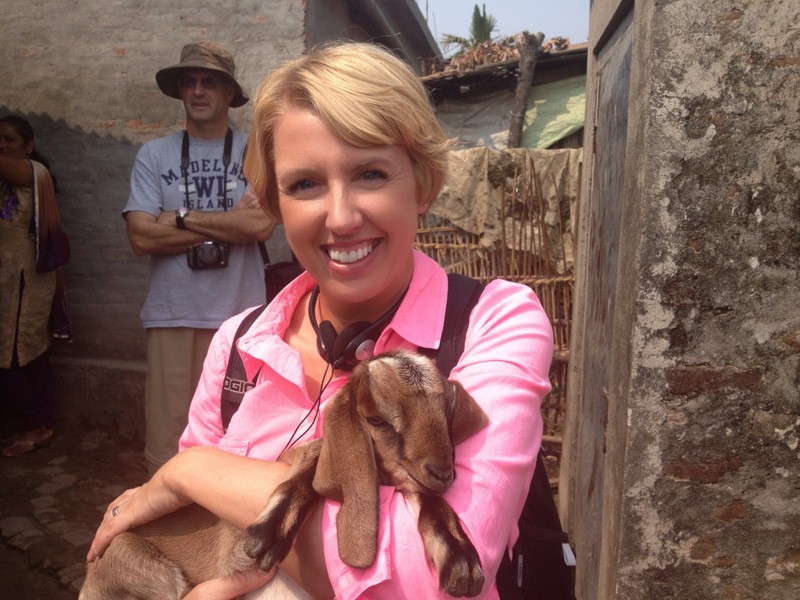 So when Vicki volunteered to write a guest blog for us, we were happy to let her. Without further ado: Vicki Clarke. You can imagine we had a tiny dose of skepticism when a guy from Wisconsin contacted us claiming to be an author, and said he was interested in Heifer. Full bearded and clad in a Joss Whedon t-shirt, he said he’d had some luck publishing his first book. Word spread around our offices about this newly-minted fantasy author who said he’d match his fans’ donations to Heifer. So we watched his blog as the numbers grew and grew. It was probably as much fun for us to watch the donations pour in as it was thrilling (and terrifying) for him to realize his fans might drain his bank account, all for a good cause. In the ensuing years, we’ve regarded Pat and Worldbuilders with amazement and gratitude. 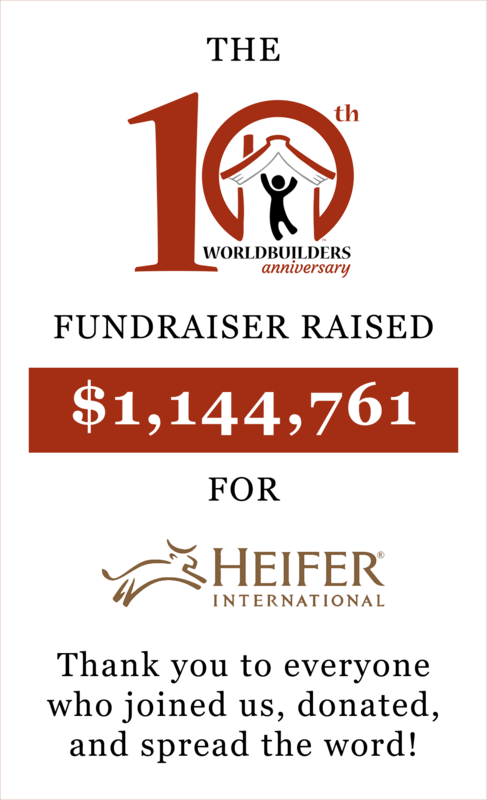 Every year when the Worldbuilders’ fundraiser is launched, we can’t believe we are lucky enough to count this community among our supporters. And, every year at the conclusion of the fundraiser, the money given blows us away. It is a yearly reminder that we can all be part of changing the world. That Worldbuilders chooses each year to invest in us is humbling and drives us to continue working alongside communities to help them build rewarding futures. In those six short years, Heifer has directly and indirectly assisted more than 10 million people. The Worldbuilders community has catalyzed a movement that has undoubtedly helped us achieve those numbers. We are able to do more work and faster. In thousands of donations, from thousands of friends, readers, fans, artists, students, teachers, engineers, gamers, fellow geeks, and more, we have worked together to do something really remarkable: provide the seeds of change to those who struggle daily for food and income. 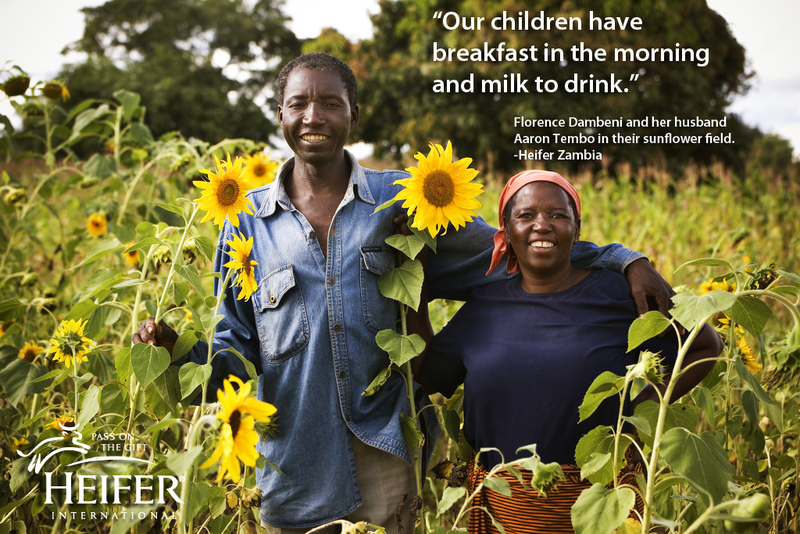 Your donations through the Worldbuilders fundraiser over the last six years purchased income-producing animals, seeds and trees for families – from alpacas and seeds in Peru to cows and goats in Tanzania and Kenya, and poultry and pigs in China. 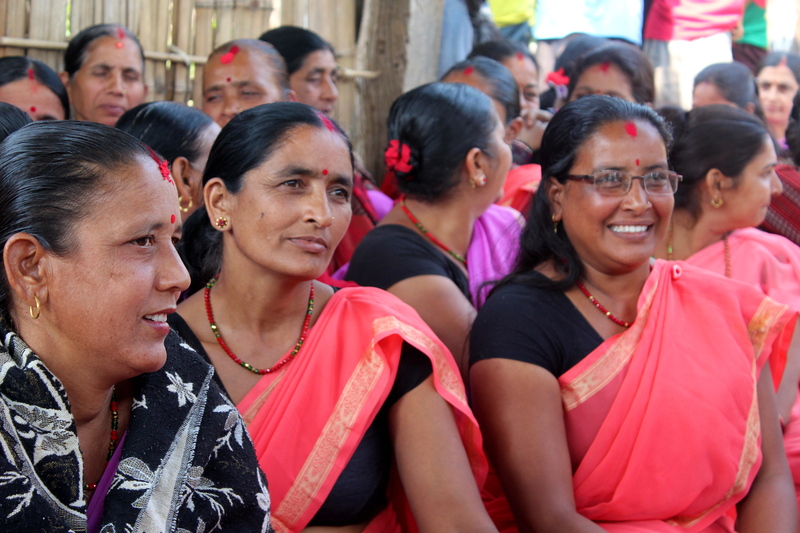 You helped us invest in education and intensive training in animal husbandry, environmentally sound, sustainable farming, and business development in Kenya, and community development and empowerment for thousands of women and their families in Nepal. United by one man, and one cause, we come together to do something great and do a little something to put an end to poverty. Well, not so little, as it turns out. In Ghana, we helped families turn the gifts of poultry and bees into productive farms and 75% of farmers were able to double their monthly incomes as a result. 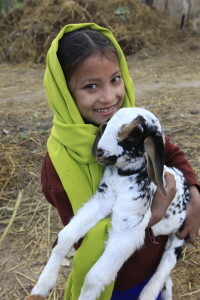 In Nepal, we invested in the determination of women farmers which resulted in a ten-fold increase in household income from goat sales and a three-fold increase in total earnings from egg and poultry sales over an 18 month period. That’s income that families use for better nutrition, school fees and uniforms, better housing, clean water, medicine, toilets, and more. You see, all of us at Heifer want more for the small-scale farming families we work with than simply being able to feed their families for a day or for one growing season. More than just surviving, providing life’s most basic necessities. We want them to live fulfilled, dignified lives—whatever that means for them, in their own context. Through the fundraiser every year, you are a part of this work to end hunger and poverty: you provide the basic tools for a successful life and those gifts are transformed into hope, opportunity and dignity. I realize here that I sound optimistic. I’m a realist, honest. But just as much as I believe in each of us and our collective power, I believe in the farmers (many of them women and mothers) who have the power and determination to find their way out of poverty. Together, we can achieve sustainable income and food security for the most marginalized. Together, we can protect our natural resources and preserve our environment. Together, we can end world hunger. It’s that belief that drives us forward. A belief in peace and in community. A belief in families working to achieve self-reliance. A belief in people—in who they are and who they can become. And really? A belief in our power over poverty. All of us at Heifer are thankful that all of you believe in it too. It sounds a little crazy. But that’s my kind of crazy. Huge thanks to Pat, Sarah, Oot, Cutie, Maria, Brett, Amanda, Kat, Nicole, Adam, Rachel, and the volunteers and friends who make the world more awesome. Thank you Vicki, and thanks to everyone who has helped with Worldbuilders this year. Here’s a our donation page, for those of you who would like to spread little love this Thanksgiving. Stay tuned for new products and Black Friday deals in the store tomorrow.